G’day mate!, and welcome to Australia. Each year Australia welcomes hundreds of thousands of visitors from Germany. For a good reason: endless beaches, abundant sunshine; amazing scenery and friendly locals make up for 24 hours on the airplane. Australia’s empty red centre contrasts nicely with its lively beach culture, and the travel and adventure options are endless. A good reason to escape Germany once in a while – and catch some feel-good spirit in the land of Koalas, Kangaroos, Surfers and white beach sunset parties. 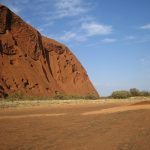 Whether you are a Working Holiday Maker looking for a year of fun and travels along Australia’s party coasts, a student, or a well-seasoned traveller wanting to escape the city crowds in the vast Outback, Australia can offer what you seek. It is truly a land of many stark contrasts, cultures, possibilities and adventures. Australia has some of the most beautiful beaches in the world, the world’s biggest sand island and the largest coral reef on our planet. Australia is the land of the Aborigines and the red soil of the Outback, the famous Uluru or Ayers Rock and the equally famous Sydney Opera House. If you haven’t visited Australia, you have missed out on some amazing sights. Germans in Australia empowers young Germans to experience Australia. We are here to help you plan your trip, prepare for an unforgettable adventure and make friends for life. 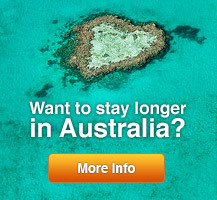 … and heaps of practical information to make your stay in Australia as enjoyable as possible. Enjoy your visit!